There are hundreds of cool things to make with loom bands, how do you choose? Snowflake Loom Bands are a seasonal choice. I’ve been wanting to make these for a while. Fun Loom Bands can be full of creativity. 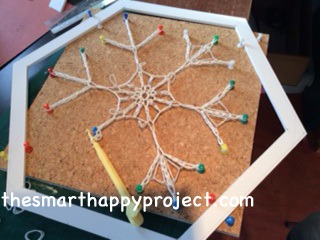 They seemed the perfect medium to use for creating snowflake patterns and demonstrating the six fold symmetry. Usual practice with loom bands is to work in rows. Here we work in the round securing the design at the six corners of a hexagon within a circle. The simple repeated actions bring awareness of the geometry and numbers present in this little crystalized bit of nature. Look again at Hexagonal Geometry in Snowflakes, remember that whatever pattern is created it has to be completed a total of 6 times around the hexagon. Instructions for How to make Snowflake Loom Bands. You’ll need a password to access the page with the download. Go to this access page , enter your NAME and EMAIL address and your password will be arrive in your inbox straight away with the page link. 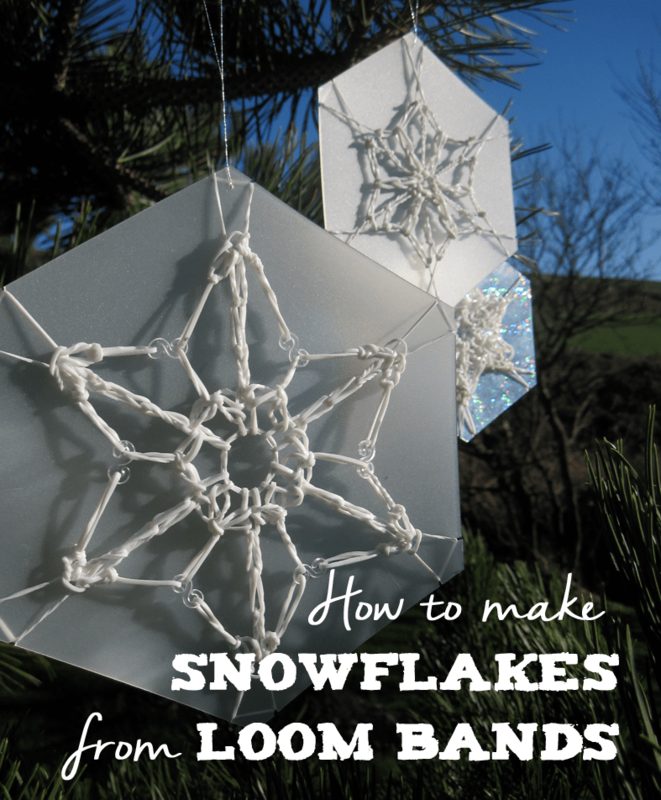 If loom bands aren’t your thing, why not have a look at how to make paper snowflakes. Remember to leave pictures of your snowflake creations on the social pages. Can’t wait to see them. Also if you had a minute to pop a couple of words in a review, would be great. Have you found this interesting and would like to share it? if so, please encourage friends to input their own email to receive the download. Lets fill the world with loom band snowflakes and hexagon geometry. 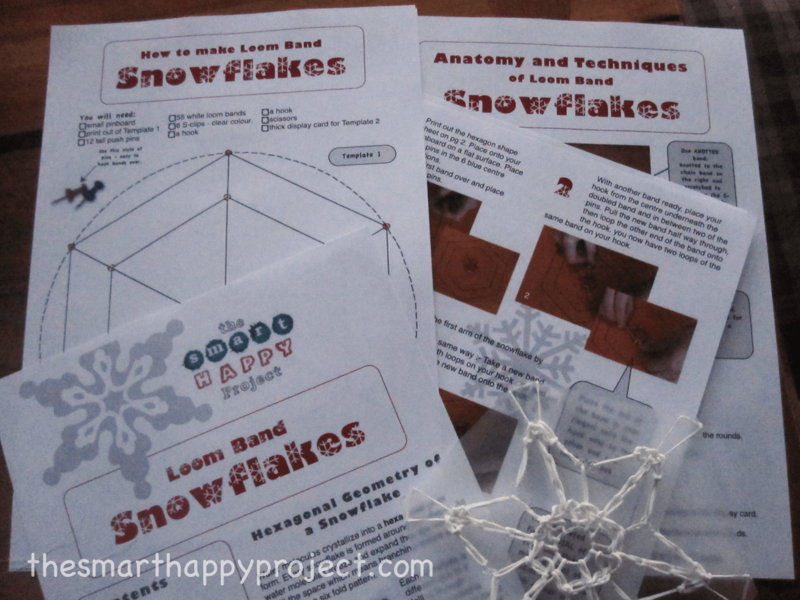 Here’s that link again to get access to ‘How to make Loom Band Snowflakes’.